A file with the M4A file extension is an MPEG-4 Audio file. They're most often found in Apple's iTunes Store as the format of song downloads. Many M4A files are encoded with the lossy Advanced Audio Coding (AAC) codec in order to reduce the size of the file. Some M4A files may instead use the Apple Lossless Audio Codec (ALAC). If you're downloading a song through the iTunes Store that's copy protected, it's instead saved with the M4P file extension. M4A files are similar to MPEG-4 Video files (MP4s) since they both use the MPEG-4 container format. However, M4A files can only hold audio data. Lots of programs support the playback of M4A files, including VLC, iTunes, QuickTime, Windows Media Player (v11 requires the K-Lite Codec Pack), Media Player Classic, Winamp, and very likely some other popular media player applications as well. Android tablets and phones, plus Apple's iPhone, iPad, and iPod touch, function as M4A players, too, and can open the audio file directly from an email or website without needing a special app, regardless of whether or not the file uses AAC or ALAC. Other mobile devices may have native support for M4A playback as well. Rhythmbox is another M4A player for Linux, while Mac users can open M4A files with Elmedia Player. Because the MPEG-4 format is used for both M4A and MP4 files, any video player that supports the playback of one file should also play the other since the two are the exact same file format. While M4A files may be a common file type, they certainly don't trump the MP3 format, which is why you might want to convert M4A to MP3. You can make an MP3 from an M4A file using iTunes, which is helpful if the song is already in your iTunes library. Another option is to convert the M4A file with a free file converter. To convert M4A to MP3 with iTunes, you have to change the iTunes import settings and then use the Convert menu option to make an MP3 copy. Converting M4A to MP3 With iTunes. Go to Edit > Preferences and then make sure you're focused in the General tab. Select MP3 Encoder from the drop-down menu. Click OK and then OK again on the General Preferences window. Select the M4A file from your library that you want to convert. To access your music library in iTunes, select Library at the top of the program and then ensure Music is chosen from the drop-down menu to the left. Finally, select Songs from the left pane to list all your music. Go to File > Convert > Create MP3 Version. iTunes doesn't delete the M4A when you convert it to MP3. Both will remain in your iTunes library. 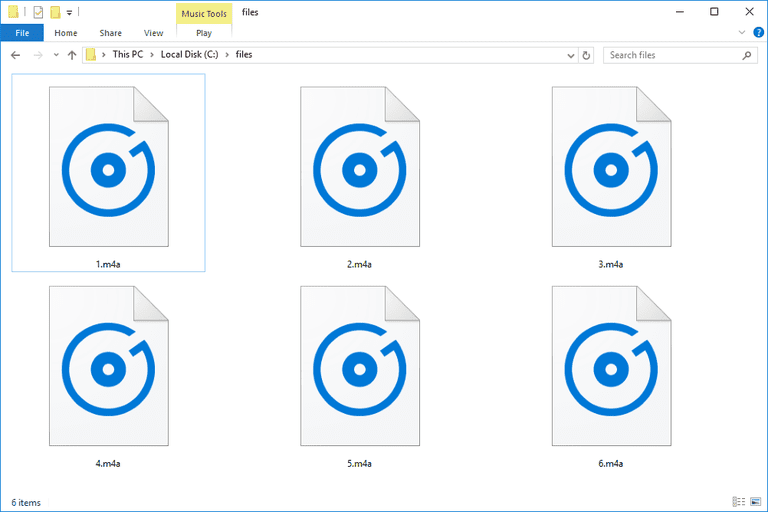 A few free M4A file converters that can convert the format to not only MP3 but others like WAV, M4R, WMA, AIFF, and AC3, include Switch Sound File Converter, Freemake Audio Converter, and MediaHuman Audio Converter. Something else you can do is convert the M4A file to MP3 online using a converter like FileZigZag or Zamzar. Upload the M4A file to one of those websites and you'll be given many different output format options in addition to MP3, including FLAC, M4R, WAV, OPUS, and OGG, among others. Online M4A converters are useful because they work from any operating system and run basically instantly without a software installation. However, unlike desktop converters, you have to upload the M4A file, wait for it to convert, and then downloaded the converted file, a process which might take a while if you have a slow internet connection. You might also be able to "convert" the M4A file to text using speech recognition software like Dragon. Programs like this can transcribe live, spoken words into text, and Dragon is one example that can even do it with an audio file. However, you may have to first convert the M4A file to MP3 using one of the converters mentioned above. Some audiobook and podcast files use the M4A file extension, but because this format doesn't support bookmarks to save your last accessed place in the file, they are generally saved in the M4B format, which can store this information. The MPEG-4 Audio format is used by Apple's iPhone in the form of ringtones, but they're saved with the M4R file extension instead of M4A. Compared to MP3s, M4A files are usually smaller and have better quality. This is because of enhancements in the M4A format that was intended to replace MP3, such as perception-based compression, larger block sizes in stationary signals, and smaller sample block sizes. If your file doesn't open or convert with the programs mentioned above, it's quite possible that you're misreading the file extension. For example, 4MP files might be confused for M4A files but will not work properly if you try to open one with an M4A player. 4MP files are 4-MP3 Database files that hold references to audio files but don't actually contain any audio data themselves. An MFA file is similar in that the file extension closely resembles ".M4A" but it, too, does not work with M4A players and is completely unrelated to audio files. MFA files are either MobileFrame App files or Multimedia Fusion Development files.